“Believing in yourself is the most crucial asset that you have. Trust life and trust that everything turns out good in the end. It will!” Those wise words belong to one hell of a powerful woman – she’s Triin Kask, Co-Founder and CEO of software company Nevercode. Triin and her team are working on their vision to automate as much as possible in app development so that in the future there is no code between the creator and technology. And the ideas can be manifested without the need for being a software developer. How did you start with Nevercode? Was it rather easy or difficult? What were the main obstacles? Nevercode was born out of an idea that mobile app development could be so much easier if we could automate the process from code creation to actually publishing the app to GooglePlay or Appstore. That is what we’ve done today. To build the first MVP was not that hard, also getting the first traction was not that hard, even raising money was totally doable. The hardest part has been to form a team of heroes - people who are not afraid of challenges and who know how to have fun on the go, people who never say no to the unknown but who go out there to learn. Today we have that team and it is just so amazing to work with such excellent people. It is very easy to go and hire people who actually don’t fit into the culture. It can turn the overall moral upside down and it hinders progress and decreases team’s motivation. But it is so damn hard to find people with the same mindset, with passion and a good portion of self-awareness. A great team is everything. What has helped you to get there, where you are now? The most important thing is to trust yourself. Don’t listen to others when you feel that it’s not right. Your heart knows the feeling. Trust your heart. Sometimes it is really really hard when it seems like everybody else knows better or when the circumstances seem to be all against you. Then believing in yourself is the most crucial asset that you have. Trust life and trust that everything turns out good in the end. It will! Not long ago, a guy said that you can only connect the dots later when looking backward. What do you think about mentors? Do you have any? We learn the most from our own mistakes. A good mentor is the one who does not tell you the right answers but the one who knows how to support you when you go through your failures. Who has failed themselves and who knows how important is belief and encouragement. My partner, the love of my life is my mentor. 1. Time is subjective. It is closely related to being patient or not being patient. 2. Our perceptions are subjective to the reality we are creating ourselves. We want to believe that once we achieve something it will stay like that as long as we live. But the truth is that everything is in constant change. Once a happy marriage ends with a horrible divorce. Once great Skype is not so great anymore. Once a poor English teacher is now the CEO of one of the world’s most successful companies. 3. Love is the most powerful force. Love is eternal, it knows no time nor space. Love will save us eventually. It has saved me countless times. ...by Jack Ma who has said: “Today is difficult. Tomorrow is much more difficult but the day after tomorrow is beautiful. Most die tomorrow evening.” I share his philosophy in many other aspects, especially that now is the time to develop technology to release our inner powers. He is such a great thinker. I’m inspired by the people who I work with every day, that’s the luxury when you have smart people surrounding you. I’m inspired by my family, my partner who sometimes believes in me more than I do, my children, they never let the child in me die and I can’t emphasize enough how important it is in order to stay curious about the things I don’t know and I’m about to find out. Everything you do in your life is the right thing. Don’t question. The more you understand yourself and learn how to be in the present to experience life, the more you understand that there is no right or wrong way. It is your life. Appreciate all the experiences you get. Learn. Move. Accept change. Accept when things don’t move. Sometimes it teaches you much more than just moving around pointlessly. Also, remember that finding your path doesn’t happen overnight. It takes time. It needs constant experimenting, changing, going out there to learn new things, expanding your limitations, always. It needs patience. That I have no clue what’s it gonna be. 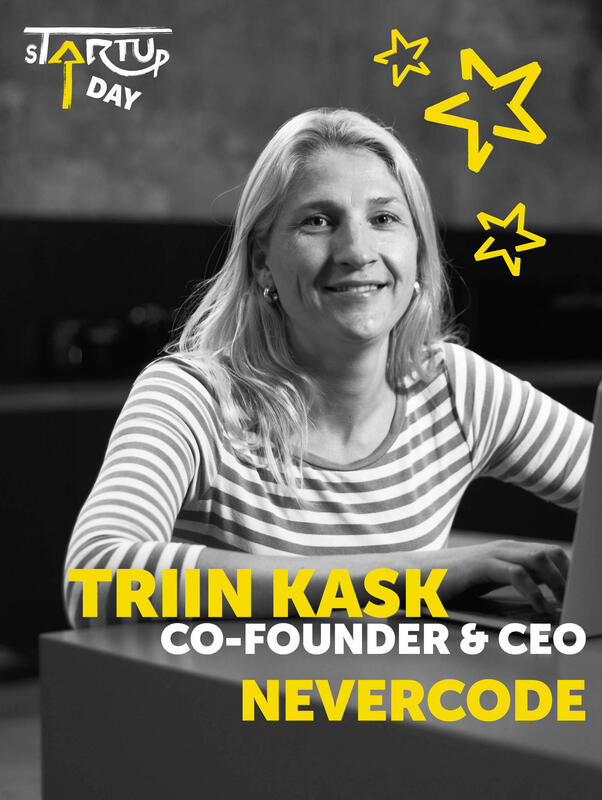 Triin will be one of the speakers at sTARTUp Day 2019 on 23-25 January in Tartu.